Suzie and Hank Seemann at Tuolumne Meadows, Yosemite National Park, August 2003. When Hank Seemann walks into his backyard each morning to let the chickens out of their coop, he feels his wife's presence and her absence simultaneously. It's a paradox he can't explain -- she's gone but not gone. He feels it in the evenings, too, when he closes the chickens in for the night, and at various moments during the days that keep accumulating since her death. Forty-two of them now. Six weeks since Suzie, his companion for 18 years, his wife of 12 years, the mother of their children, 8-year-old Malcolm and 4-year-old Evelyn, died during a morning jog. The grief has nearly hollowed him out, and yet she's there, too, inside the void. "These are things I just can't explain," Seemann says, in the first interview he's given since a hit-and-run driver struck his wife and two fellow joggers. He's sitting in the office they shared, staring vaguely at the floor as he speaks softly, his fingers laced together in his lap. Outside, the rain has momentarily stopped and light from the silvery overcast sky pours through the window and glints off his gold wedding band. Brightly colored kids' paintings are taped to the walls behind the computer where Suzie would sit into the wee hours, preparing PowerPoint presentations for her students at HSU. She'd pull the latest weather images off the Internet, Seemann says, and use them to explain the complex mechanics of earth-atmosphere interactions, climate change and weather forecasting. "I knew her the best, and there was nothing left unsaid between us," he says. Perhaps this knowledge gives him the courage to think about the day she died, because that's what he brings up next. "I saw her that morning. I was up early. I was washing dishes. She came to me. She kissed me on the cheek." For the last time, she left their Freshwater house, the place where the family had hit its "sweet spot," in a quiet cul-de-sac beyond an idyllic covered bridge. "We were just -- flourishing," he says. As most people in the community have now read or heard from friends, Suzanne Wetzel Seemann went for a run early on Sept. 27 with her friends Terri Vroman-Little and Jessie Hunt, and Hunt's dog Maggie. The three women were active members of the local running community, training for the Humboldt Redwoods Marathon. They'd run less than a mile north from Three Corners Market along the western shoulder of Myrtle Avenue when they were run down by the driver of a four-door Kia sedan, who then fled ("Senseless Tragedy," Oct. 4). Suzie died at the scene, as did Maggie the dog. Vroman-Little and Hunt suffered serious injuries and remain in wheelchairs as they're recovering. Both women recently did an interview via Skype with KHUM DJ Mike Dronkers, telling him they look forward to running again. A 28-year-old man named Jason Anthony Warren is a "person of interest" in the hit-and-run as well as the murder of Dorothy Evelyn Ulrich, a 47-year-old wife and mother of three who was found dead in her Hoopa home later the same day. As reported by the Two Rivers Tribune, Warren's criminal past stretches back to his adolescence. He was convicted of attempted murder at age 16 and has been in and out of prison ever since. On Sept. 27, the day Suzie was killed, her friends were mangled and Dorothy Ulrich was found dead in Hoopa, Warren was wanted for failing to appear at a Sept. 7 sentencing hearing. He'd been charged in April with second degree robbery, assault with a deadly weapon and being a felon in possession of a firearm, but he was released on Aug. 24 under a "Cruz waiver" granted by the court. The plea deal worked like this: If Warren showed up for sentencing on Sept. 7, he'd be convicted only of being a felon in possession of a firearm. If he didn't, he'd also be convicted of the robbery ("Two Deaths, Many Questions," Oct. 25). Warren was taken into custody on Sept. 28 and has been sentenced to nine years in prison. The Humboldt County Sheriff's Office and California Highway Patrol are investigating Ulrich's murder and the hit-and-run, respectively. Their reports are expected next week. "I know there's anger in the community," Seemann says. "I know there's pain." Beyond that, he doesn't want to talk about the Warren case now. He's in pain, too. He doesn't say so but you can see it in the shadows around his eyes. You can hear it in his quavering voice when he talks about Suzie's memorial, which was attended by Dorothy Ulrich's mom and sister-in-law, or about the outpouring of support from the community. But he's not focusing on the pain or on the criminal reports that have yet to be released. "Right now blame does nothing for Suzie, does nothing for my family, does nothing for the community." 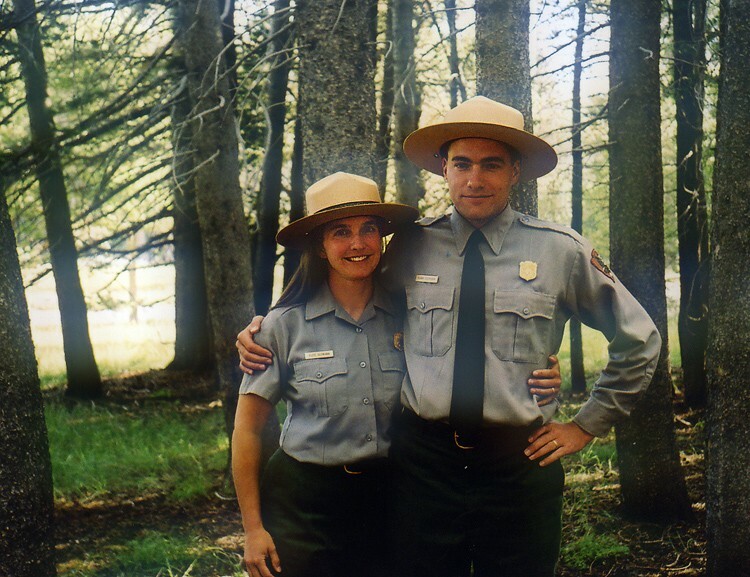 Instead he's focusing on his wife, surrounding himself with memories of her, looking at photographs of them together as insecure young students at MIT, as bride and groom, as park rangers in Yosemite's Tuolumne Meadows, as proud and happy parents. He pulls out a plastic Sterilite tub and snaps off the lid, revealing some of Suzie's belongings: an old park ranger uniform; a book called Extraordinary Chickens; a medal she got for finishing the Santa Rosa Marathon; a T-shirt for the "Garfield Gallup" kids' run that she helped organize for her son's elementary school; a stuffed animal from her childhood; a map of Yosemite; the program from their wedding ... . Seemann holds each item for a few moments before setting it down and reaching for another. It's as if, by taking each one in his hand, he's making them glow with life, like breathing on hot embers. The weather was beautiful in the days after her death, and Seemann spent a lot of time outside, walking. He says he experienced moments of clarity in those first few days that revealed the path he needs to take with Malcolm and Evelyn. It's the same path they were already on with Suzie. "It's us as a family, and staying together as a family," he says. "And Suzie is part of that family." Seemann can't imagine healing. That word doesn't make sense to him. He thinks more in terms of recovery, a willful act, the way you might recover from a hurricane. One hour at a time, you just pick up the pieces.